NEWS: Poloniex is quite overloaded at the moment, the support is answering very slowly and the website itself is quite slow and using lots of your computers resources. At the moment, you can try Livecoin as a alternative for Altcoin trading. The account creation on Poloniex is rather simple and can be done in under 5 minutes. The user provides necessary information and needs to click on the confirmation email in order to complete the creation of an account. The verification process is similar to the verification on other exchanges, and it has two levels. The first verification level requires email verification, first and last name as well as country of residence. When completed, the daily withdrawal is set to 2,000 US dollars, and margin trading is enabled. The second verification level requires personal information, address, phone number and a scan of photo ID (passport, national ID, driver’s license) and a picture of the user holding Photo ID. It can take a few days for the staff to review the submission and to verify the account. In the case of any problems, a user will be notified to contact support regarding the verification. When completed, this level of verification allows daily withdrawal limit of 25,000 US dollars. There’s also a third level of verification which can provide limits higher of 25,000 US dollars. Additional details about the requirements aren’t publicly available, so users or companies need to contact support. The exchange doesn’t support FIAT currencies. Deposits are possible only in digital currencies. The closest thing to FIAT currency is Tether USD, which is basically US dollar placed on the Blockchain. And over 80 other popular digital currencies are available for trading on Poloniex. The full list can be seen here for registered users, or on the live trading screen for non-registered users. The trading platform uses a standard maker-taker model which encourages market liquidity by rewarding the makers with a lower fee. It likewise results in a better market spread, because it motivates the makers to outbid each other. This model is particularly important for Poloniex since they are one of the most diverse exchanges with over 80 supported cryptocurrencies and it’s a significant challenge to provide a good liquidity for all of them. For lenders, there’s a 15 percent flat fee to earned interest. The fees calculation is based on the last 30 days of trading volume for each user and automatically adjusts the fees according to the volume. Deposits and withdrawals are free of charge on Poloniex. The trading screen on the exchange is very smart. It offers multiple time frames, multiple-option candlesticks and both Fibonacci levels and Bollinger bands. This trading view is available for all of the 200+ trading pairs. Each market has its own box and all trading pairs listed below. During last year, Poloniex accounted for over 99 percent of Tether trading volume and remains the only market with high liquidity for Tether trading. These orders are available for all currency pairs. Similar to BTC-e, there’s a troll box – but despite the moderator’s effort, it can be malicious, and crooks are looking to trick the new users. Tip: it’s called “troll box” for a reason, information found in this public chat can’t be trusted. There’s also a lending option, where users can offer or demand a loan with the certain interest rate. The exchange currently doesn’t offer to trade futures and derivates at the moment. The interface looks great, and it’s easy to use. Shifting between more than 200 trading pairs is quick, and the website looks great. There are no apps for Android and iOS, but the platform is responsive, and it looks good on mobile devices. Some third-party apps were made with Poloniex API, but the majority of users agree that these apps cannot be trusted, especially when it comes to trading with money. The exchange offers support via email, ticket and directly from troll box. The fastest way to get the answer is by asking the moderators directly in troll box, but they are known for delays. The support isn’t one of the advantages of Poloniex – they take too long to respond, and the responses often aren’t complete. There’s also a knowledge base, but it isn’t extensive, and it covers only basic questions. There are some scam reports related to Poloniex. Some of them accuse the exchange of tempering with Ethereum Classic and making organized pumps and dumps (artificially blowing the price up and then suddenly crashing it). The accusations remain without much evidence, but many users commented on the posts related to it. The scam accusations mainly come from the users who haven’t received free ETC at the time, so it’s fair to say that the majority of accusations were biased at the time of writing. The website of Poloniex is quite slow and it seems the developers did not do a good job here. Compared to other exchanges, it seems to use lots of resources in your Browser and if you have a couple of tabs opened at the same time, the performance of the site goes close to unusable. Like other trading platforms, Poloniex offers two-factor authentication for both login and withdrawal authorization. Also, an email confirmation is required for withdrawals. The exchange claims that the majority of customer funds are held in cold storage, as well as that they are monitoring the platform 24/7 for any unusual activity. The exchange was hacked in March of 2014, just two months after launch and at that occasion hackers stole 12.3 percent of Bitcoin on the exchange, which was approximately 50,000 US dollars at the time. The vulnerability was easily fixed, and there were no incidents since. Instead, the fee was raised from 0.2 percent to 1.5 percent, and the loss was equally distributed to all customer accounts. After two months the balances were restored, and the fee was returned to normal 0.2 percent. Mr. D’Agosta handled the situation very well, by going public immediately and explaining what happened. His reaction was applauded by the community and played a great role in reducing the reputation damage to Poloniex. The exchange has email and SMS notification, but PGP encryption isn’t used in communication. 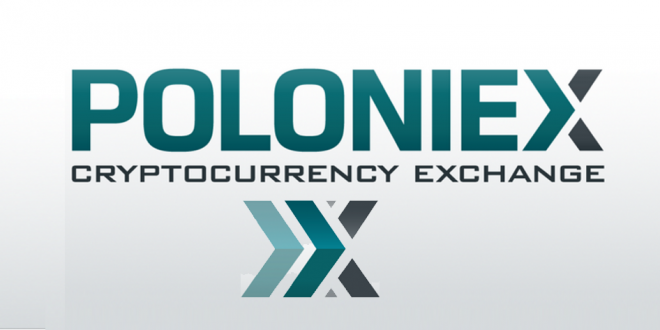 Poloniex is an excellent exchange for all those looking to trade altcoins as well as Bitcoins. A great exchange with a good reputation. Do you have experience with this Bitcoin Exchange? Please share it! 1) Poloniex doesn’t keep its promises! When I knew my account had been frozen I had no choice. I had to be verified or leave them my coins. So I preferred to be verified. I’ve submitted them my government issued documents (there were no information that only international documents are acceptable) and the only adequate response was: ” The funds will be held safely in your account until the verification process is complete”. The thing is I told them that I cannot get international documents in near future and that I submitted my government issued ones. Now Poloniex is taking of my coins as hostages and urging me to be verified but don’t allow me to be verified with my own government issued passport! But Poloniex promises to keep our money safe! Poloniex keeps promises, isn’t it? 3) Poloniex doesn’t adhere to its License Agreement in case of it relates to user rights! P.S. There were a lot of agents I have been talking to: Cole, Daniel, Dean, Edward, Fergus, Homer, Laura, Michelle, Rivero, Sandy etc. There might be someone who’d like to help but anyway I didn’t get help so far. Be careful with Poloniex, you wouldn’t like it kept your coins safe. I have been trying to get verified for over a month. Suddenly, they locked my account for no reason. I received a response, next day! I have been trying to get verified for over a month. Coinbase verified me within a day. Lost my coin during withdrawals even if the transaction is complete and address is correct. Do not trade on it because during withdrawal they have this huge technical error or fraud website. Support not responding. There is Absolutely NO…NONE! Support, I have had a ticket pending for over a week and have sent several emails with nothing in return. I am moving everything out of this exchange. STAY AWAY FROM THEM. polo was blocked on my email & that had not been changed sine May . The supposed hack occurred in August. I think they sent all the customers coins that did not enable 2 factor to an outside BTC address & the back to the companies wallet. It was then blamed on a “hack”. When I traced the transaction ID several times the coins all went back to POLO?!! I hv review some of the comment below that saying poloniex it is really scammer platform to trade the btcoin.. it is true..
How much were you paid for this review? Go to CryptoCompare.. I am not alone when I say they are most likely a scam.. people are losing their money with them.. their security has issues, their customer support is none existent. I’ve been waing 2 weeks for help. I’ve seen some on CrytoCompare waiting some 45 days plus for a response fron the so called company. They don’t respond to emails They have NO PHONE NUMBER to contact them.. Once they have your funds they are keeping them.. Ticket number #366765 poloniex is such a fraud my account is not working from the last 18 days and from since then I am not able to receive any response from their side. They are scam. I request all to transfer all their money from poloniex to any other crypto currency sites as soon as possible to save your money. Looking forward for the support from poloniex. I have sent 1241.209187 XEM 2 days ago but it didnt show up in my account. I opened ticket two days ago but still they didnt reply. For a financial service platform this much delay is unacceptable. Its obvious they are scam. Forums are full of complains. Stay away from them. We must find a way to file them to SEC and let those guys arrested! If at all possible I would give this company “0” stars. So my first experience with Poloniex started off great. Then I began to have deposit issues. I’ve put in tickets and have yet to get a response after weeks. Their support center is mostly non existent. Ultimately, my effective balance is zero and will most likely lose or never get my deposits. As a general rule of thumb, I don’t do business with companies out of California. This will be third and final company out of California to rip me off from my hard earned money. I recommend that you do not use this site for anything. They will lure you in with the best prices on currencies and slowly rip you off and there will be nothing you can do about it because of their new user agreement. Get your currencies away from these people and stay as far away from them as possible! I lost a lot of coins because they did not unfreeze my account. They are still not unfreeze my account and unresponse my ticket. Now, I lost almost 50 bitcoin. I just started using poloniex for a week. My coins disappear today and I couldn’t contract customer support. Horrible website, don’t use it. Awful awful awful. Firstly 2F authenticator wont work, then I’m frozen out and now no response to support tickets. It seems they are now expecting a “run” on them with so much bad comment and cant open for fear of this. They are very bad news. I thought this was the most interesting: ADDITIONALLY, YOU HEREBY WAIVE YOUR RIGHT TO PARTICIPATE IN A CLASS ACTION LAWSUIT OR CLASS-WIDE ARBITRATION. You have no rights, they dictate all, HEIL POLONIEX! You can deposit, you cant withdrawal, and now you cant do anything about it…?! Do you really want to trade there? Here’s the update, after 14 days Poloniex has finally resolved my issue and transferred my .256 BTC into my Coinbase acct. Will I ever trade again on Poloniex, probably not, until I see a tremendous improvement in customer service support tickets. I hope the best for you who still have issues with support tickets on Poloniex. Got lucky. I had a Support Ticked on Poloneix and 24 hours passed still no aswer yet. 7 days passed PASC deposit but not in Balance yet. Evet it is shown in the History list. Worst support ever (maybe comparable with Yobit exchange, they are at least responding). Deposit easily made within 2hrs, withdrawal not processed even after 7 days. No response from support, total ignorance. Looks like a exit scam. Well as I see in this post and from a whole bunch of other post forums, I am also now a victim of the Poloniex “awaiting approval” fiasco. I have moved coins many of times from Coinbase/GDAX to Poloniex and vise versa without any problems(ETH, BTC, and LTC). So on the 14th of July I moved .256 BTC from Poloniex to Coinbase. I got confirmation email to approve transaction , approved it, and the next thing I know “awaiting approval” shows up. I have level 2 verification on Poloniex. I waited 24 hours, submitted ticket(#319713), and was assigned to an agent (Javan). Well it stills shows being processed. Oh I forgot to add that I move “LTC” from Poloniex to Coinbase with no problem the next day. Since my frustration I have opened 3 other tickets, no reply, no agent assigned. Nothing!!! Just get the emails of tickets submitted. Just out of curiosity, on my last ticket that I submitted, I sent a ticket in to close my account. I’m at the point of chocking this up to “Lessons” learned. What’s funny is that they haven’t even responded to that one either, this was a chance just to take my money, no questions asked. So I leave it up to you, to decide what Poloniex is really up too. I will update post when and if this ever gets resolved. they locked my account and not respoding on my request to unlock. No mobile or skype contact. They looks more like old cheting forex sites. Took real money and no cotact with them. I want to somehow call police, becuase they simply hold my money but not respoding on my mails! OLD FOREX CHEATING COMPANY !!! I have 10 Ether missing on Poloniex and it’s been 41 days since I opened my support ticket up and they have yet to respond to me after countless efforts to reach them. It’s a known issue with a Ether withdrawal software issue where the transaction shows as completed in Poloniex but the TXID never even shows on the Ethereum blockchain. Just rubbish support. They do not reply for tickets for 30 days and more. Complete ignorance of the customers. Bytecoin trading has been disabled for over a month? Help desk do not reply to queries as to when it will return. I’ve seen this movie before, I’m taking my coins off this site. Something is not right at Poloniex. OMG. I can’t even setup my account. I cannot figure out the proper way to write in the phone number. I’ve done it every which way possible. Seriously??!! ITS A BAD EXCHANGE SINCE JUNE 2017 – THEY ARE ACTIVELY MONITORING USER TRANSACTIONS ESPECIALLY FOR BITCOINS AND PUT THEM FOR “confirmation” which can take 72 hours. 5 hours my bitcoins are not send. I can confirm is a scam. Move all your coins as fast as u can because the legal issues will soon close Poloniex. Awaiting Approval for a $2000 withdrawal. No response from support, nothing. they need to change their damn management. I have stuck there thousands of coins over 34 days now.. Non existent support, ETH fake Transaction IDs so your money is gone effectively if you try to take it out of Poloniex. It has happened with SIA and other altcoins as well. Avoid with your life. Poloniex is a scam lately. 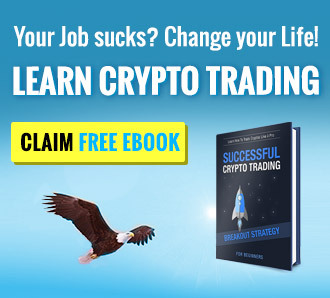 Tradeable Coins 80+ tradeable coins including Bitcoin, Ethereum, Ethereum Classic, Dogecoin, Litecoin, Zcash, Augur, Factom, Ripple, Monero, Dash, DAO, and many others.